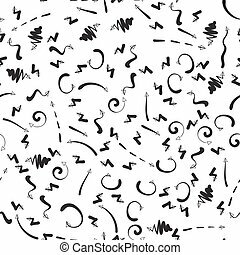 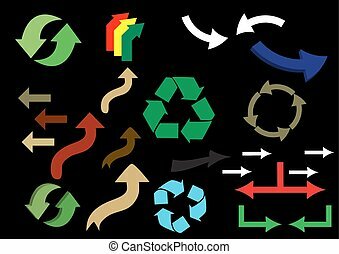 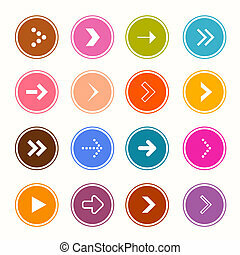 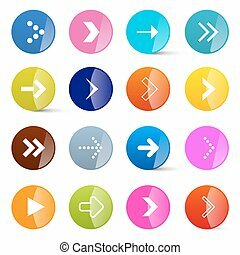 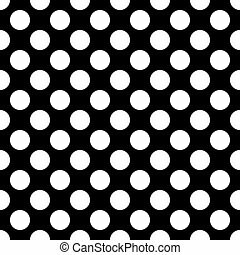 Black and white arrows set on colored circles seamless background. 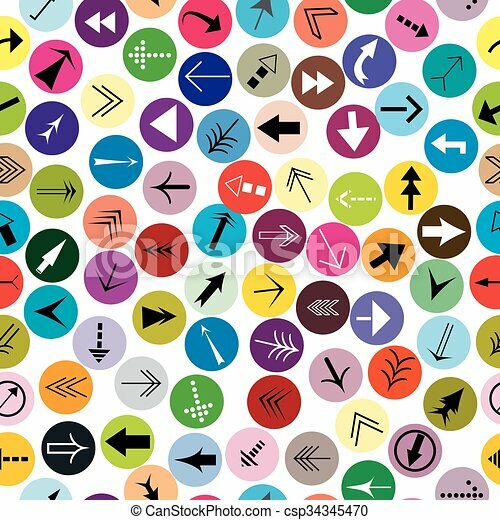 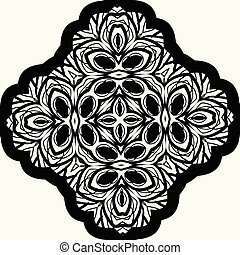 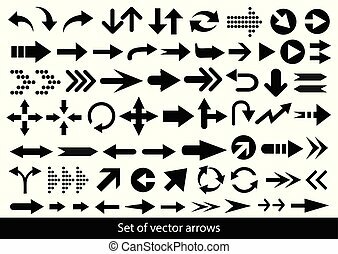 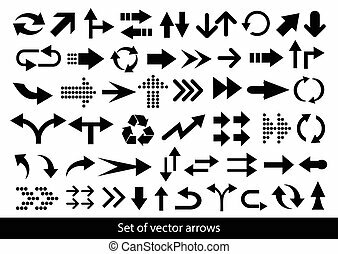 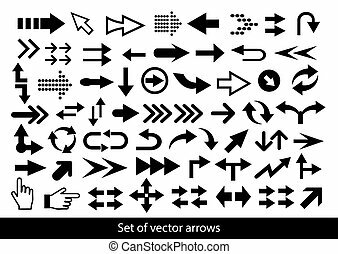 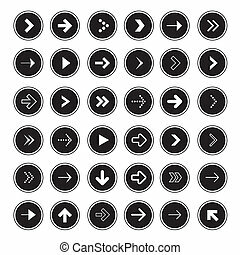 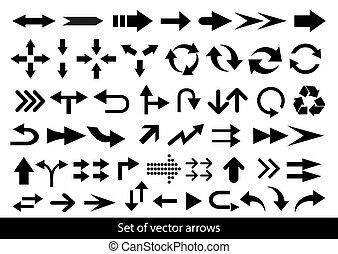 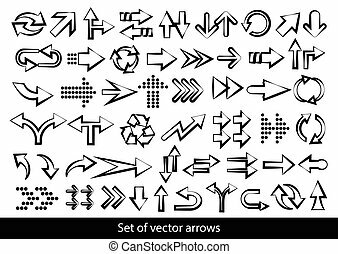 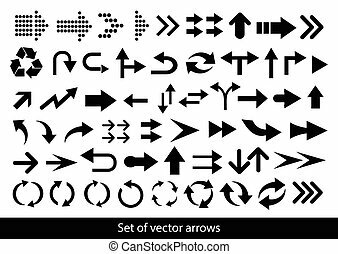 Vector set of white arrows on black background. 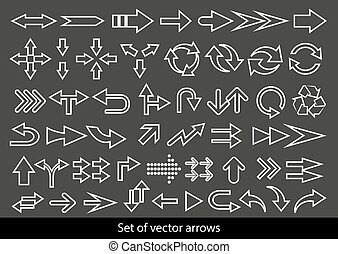 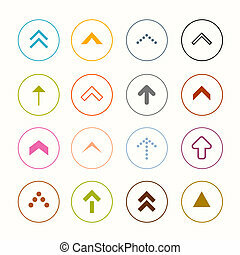 Vector set of black arrows on a white background.